For us, it’s all about putting your data to work by making data accessible and delivering solutions that people understand. Our passion is to help customers get the answers they need from data. Whether that’s through building tools and solutions that provide easier access to data or creating data models that are easier to understand, our experienced team of experts make sure you get more insight and productivity from your data. Our proven frameworks give you an approach that produces a guaranteed outcome, reduces risk and creates a better experience for users. Rio Tinto is an Australian-British multinational and one of the world’s largest metals and mining corporations. Computer Professionals were engaged by Rio Tinto to build a corporate data warehouse and reporting solution for their global Health Safety and Environment reporting. The solution was to build a number of custom applications which have been in use for over 5 years. Part of the suite is an application that allows users to records incidents, hazards, audits and many other transactions. The system caters for over 10,000 users spread over the globe. The Data warehouse interfaces to a number of systems to collect data including the corporate SAP BW system. Reporting capabilities include Executive dashboards, One click formatted reports and Self service reporting. Zimmer, a worldwide leader in musculoskeletal health care, works to provide effective and creative solutions to support orthopaedic surgeons and clinicians to restore mobility and treat arthritis and traumatic injuries. Computer Professionals were engaged to build a Data Warehouse and reporting solution using the latest Microsoft BI technologies. The system interfaces to the corporate SAP platform to extract sales and inventory data which is loaded into user friendly data models linked to Power BI. Users can access pre built sales reports and dashboards to get up to date sales performance data from any devices as well as build their own reporting using Excel or Power BI tools. Asaleo Care is a leading personal care and hygiene Company that manufactures, markets, distributes and sells essential everyday consumer products across the Feminine Care, Incontinence Care, Baby Care, Consumer Tissue and Professional Hygiene product categories. Asaleocare have engaged Computer Professionals to build a Microsoft based Data warehouse and reporting solution using Power BI as the primary reporting tool. A number of data sets are extracted from the Corporate SAP system along with data from other key databases to build user friendly data models using SQL Server analysis services. We have also built a suite of Power BI dashboards which allow users to easily get up to date information they can understand as well as explore the data using the intuitive Power BI user interface. The project has been very successful and is now being expanded to include additional information. SCT Logistics (Specialised Container Transport) is an Australian interstate transport company operating rail and road haulage, with facilities in Brisbane, Sydney, Parkes, Melbourne, Adelaide and Perth. The company was founded in 1974. The company recently implemented SAP to mange the operations however they found the standard reporting was sufficient for their operation. 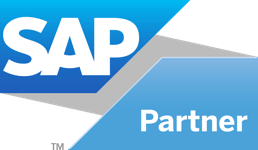 Computer Professionals partnered with Simplement Inc to deliver a real time reporting solution for SAP which enables SCT to access data far quicker and build reports using Microsoft BI tools. The project was later extended to include a customer portal which enables SCT customers to access up to date order delivery information at any time. The Department of Corrections ( is the public service department of New Zealand charged with managing the New Zealand corrections system with over 7000 full time staff. Computer Professionals were engaged to help the department with a reporting system which could access a wide range of data from SAP included key finance data and HR information. Computer Professionals partnered with Simplement Inc to build a solution which was subjected to the highest level of security scrutiny. The reporting solution passed every test and was endorsed by the IT department to interface to the departments SAP system. The solution includes a Microsoft based data warehouse with user friendly data models which enable data analysts to do adhoc analysis and build reports for the user base. Fortescue Metals Group Ltd is an Australian iron ore company. Fortescue is the fourth largest Iron ore producer in the world as of March 2011. The company has holdings of more than 87,000 km² in the Pilbara region of Western Australia making it the largest tenement holder in the state, larger than both BHP Billiton and Rio Tinto. Computer Professionals were bought in by Microsoft Australia to assist FMG implement a low cost reporting solution for their corporate SAP platform. FMG were not satisifed with the SAP BI tools and had attempted once before to implement a Microsoft based BI solution which had not worked. Computer Professionals partnered with Simplement Inc to deliver a reporting solution which enabled FMG to begin developing reports using Microsoft BI tools immediately. The solution includes the ability to utilise the SAP security system to limit access to dashboards and reports. This is achieved using the Simplement Data Liberator which is specifically designed to access data from any SAP system in real time. Drop us a line below to see how we can accelerate you analytics project today. © Copyright 2019 Spark Analytics.